This pan is an exceptional buy. Clean-up is a breeze, and the pan is not flimsy but has weight to it. Bought 4 for holiday baking coming up. Easy to clean. Easy to use, too. Love the new pans for myself and as the gifts I sent to my children. 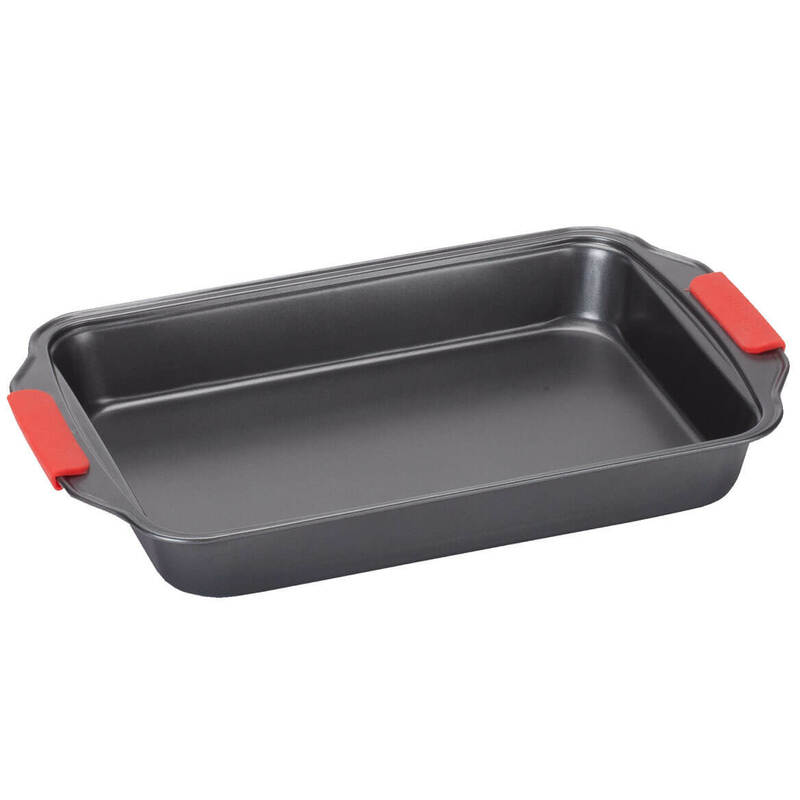 This is a versatile pan. Like the description said it can bake cakes or dinner. I have only used it for dinner and it does a nice job. Received this pan as a free gift for buying the 5 pc cookware set. I didn't...it was free with another order. I needed a good pan for brownies my fiance likes to eat. I have been needing a new cake pan and this is perfect. 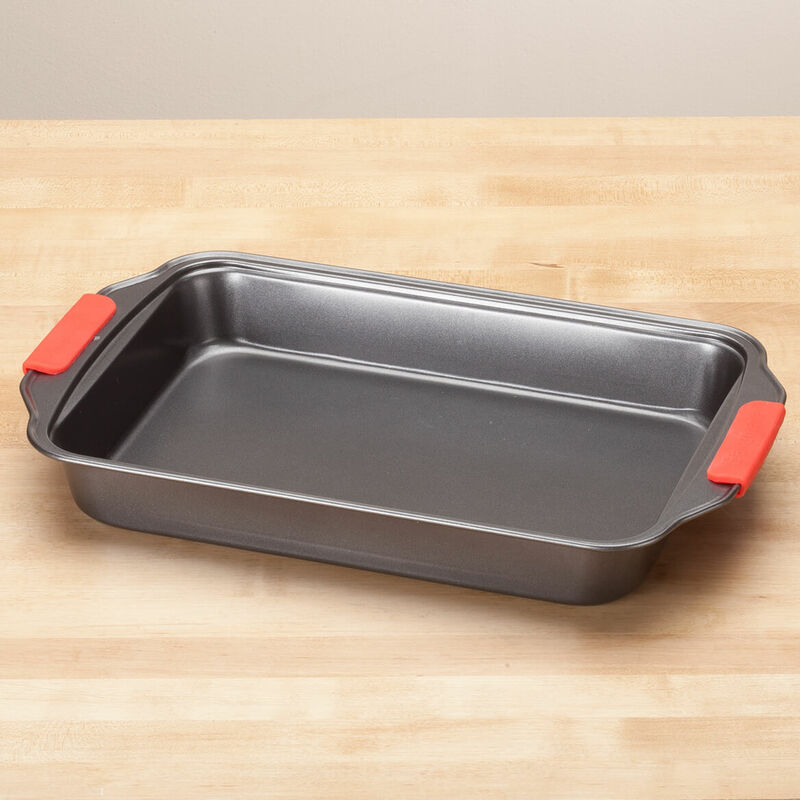 This pan by Kitchen Made is of high grade materials, with no worry of aluminum particles slipping into the food one bakes.Stainless steel is the greatest. Terrific sale you shouldn't miss! Tired of burning my fingers! Red handles a plus! Most of the meats in my diet is broiled or roasted. I do a lot of oven cooking. I have similar cookie sheets & love them. I believe these will be the same. My old one needed replaced!! use for many different dishes. Did not choose this it is free and i really do not want it. It came with my order as a free item. present for daughter. Like the handles on it too.